Take victories where you can find them. At least that’s what I’m telling myself today. In the past week or so, I’ve written a couple of times about my struggles with emotional eating. And that has garnered me some new blog subscribers and other readers. Welcome, all of you. I’m glad you’re here and I’m counting you today in the victory column. To be clear, what I eat at meals is often pretty good. Far better, I’d say, than how I used to eat. It’s what I eat at other times that causes BIG problems. But, as I already said, take victories where you find them — even if they’re small. With that in mind, I’ll point to two small victories on Sunday if for no other reason than it will help me remember them in the future. In the past, I’ve written about a part-time job I have on the weekends. And often when I’m working, to combat boredom and the negative thoughts on which the job affords me too much time to dwell, I’ll eat one of these addictive bags of trail mix and wash it down with a Pepsi. 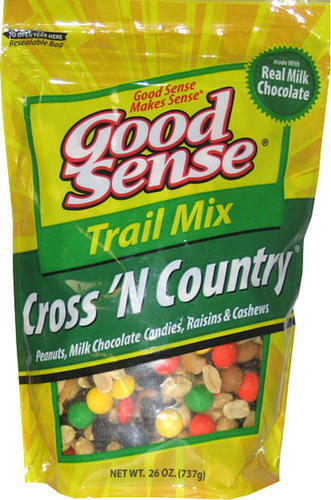 But trail mix is healthy, right? Maybe, but not when you scarf down the whole bag, which has somewhere in the neighborhood of 800 calories. Add in that 300-calorie bottle of Pepsi and it’s not hard to see how it becomes a problem — especially if I work Saturday and Sunday and have this 1,100-calorie snack on both days. But on this past Sunday, when the Good Sense called out my name and tempted me, I used good sense and ignored the urge. I was put to the test again later in the day, when I stopped at the neighborhood drug store to pick up a prescription. Because I’m one of the many Americans who doesn’t have health insurance, that prescription was going to cost me a good chunk of a week’s pay. For now, I left it there and did not get it. 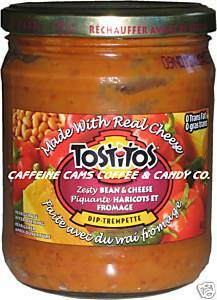 It was the sort of experience where normally I would have been tempted to console myself with a bag of Fritos and an entire jar of this bean dip. Now, there isn’t anything really wrong with bean dip. But if you eat an entire jar, that’s 630 calories and up to 4,000 more for a bag of the chips. Eat that and then have a full meal in an hour or two and it’s easy to see how caloric intake gets out of whack. But not on Sunday. Somehow, on Sunday, I said no. Today is a new day. Wish me luck. Good for you. Just remember–baby steps, baby steps. Once you do something, the next time is easier…and that goes both ways with either eating the garbage or not eating it. You have to decide what you want the most, then do what is needed to get it. Have you thought about taking healthy snacks with you to the weekend job? Might give it a try. I’ve got my fingers crossed for you.